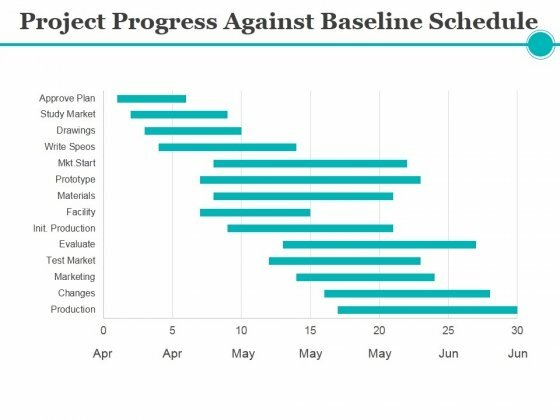 This is a project progress against baseline schedule ppt powerpoint presentation outline guide. This is a fourteen stage process. The stages in this process are marketing, changes, production, evaluate, facility. Express gratitude to the loyal with our Project Progress Against Baseline Schedule Ppt PowerPoint Presentation Outline Guide. Commend them for their enduring devotion. This is a project progress against baseline schedule ppt powerpoint presentation layouts background images. This is a fourteen stage process. 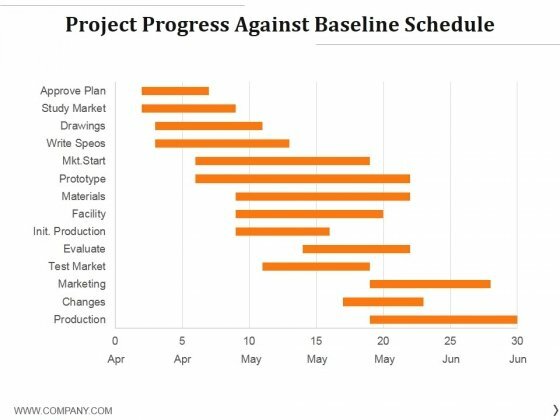 The stages in this process are approve plan, study market, production, changes. Take on the banter with our Project Progress Against Baseline Schedule Ppt PowerPoint Presentation Layouts Background Images. They give you the advantage in any argument. This is a sample perspectives of sales management diagram powerpoint slides. This is a fourteen stage process. The stages in this process are doer, responsible for volume, short run, individual customers, field work rather than desk work, driver, developer of sales, manager of scarce resources, profit planning, long term sort term, customer types and segment differences, system for market analysis, planning and control, leader, developer of people. 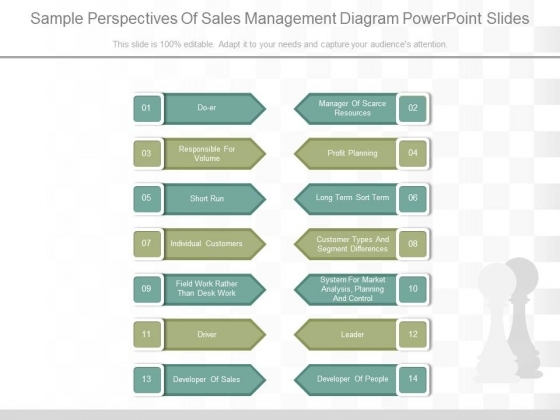 Thwart problems with our Sample Perspectives Of Sales Management Diagram Powerpoint Slides. Download without worries with our money back guaranteee. This is a key account development presentation background images. This is a fourteen stage process. The stages in this process are goal and objective, current state financials, relationship type aspire, contact strategy and coverage, competitive landscape, business and industry brief, pipeline summary, measures and metrics, customer priorities, swot analysis, value chain, roadmap journey, product and solution alignment, current and future projects, account development plan, customer validated joint ownership formal reviews. 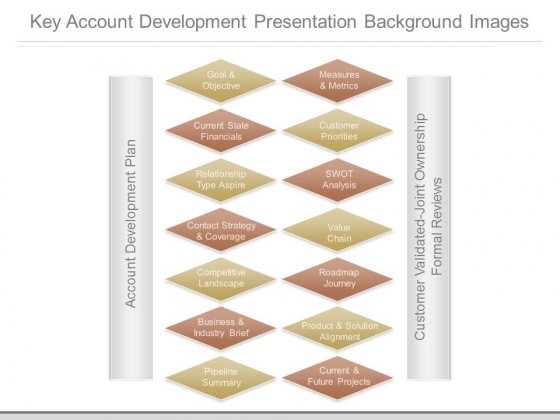 Formalize plans with our Key Account Development Presentation Background Images. Download without worries with our money back guaranteee.